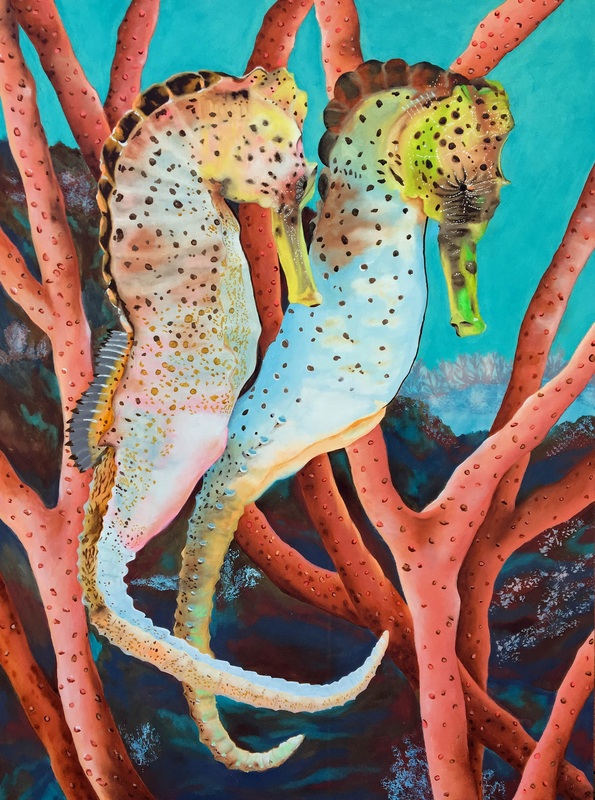 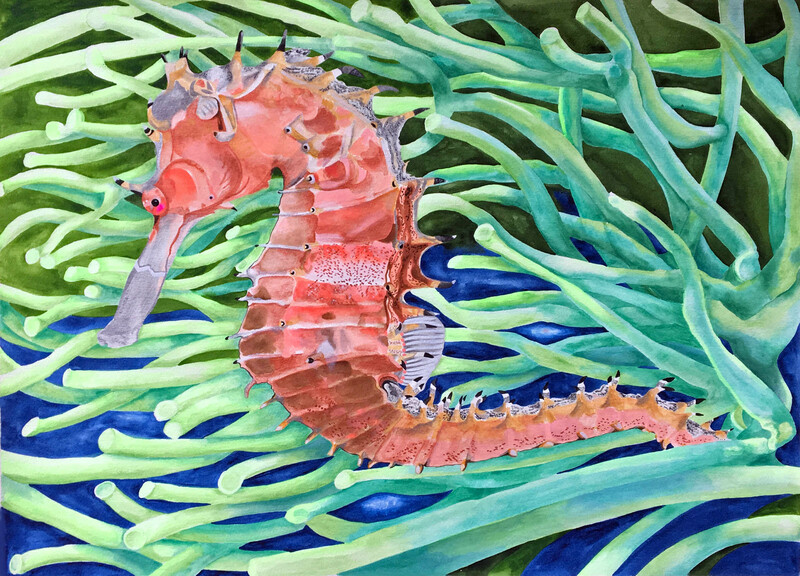 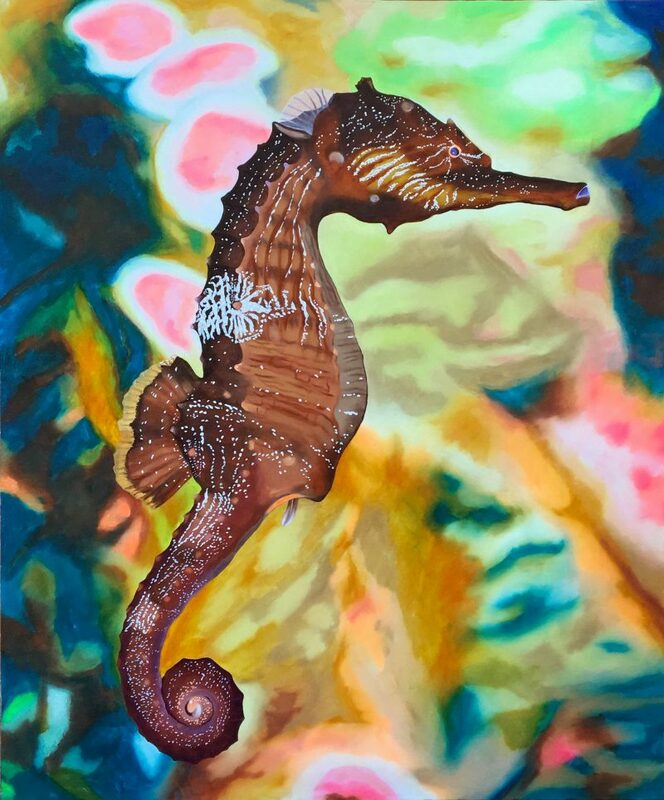 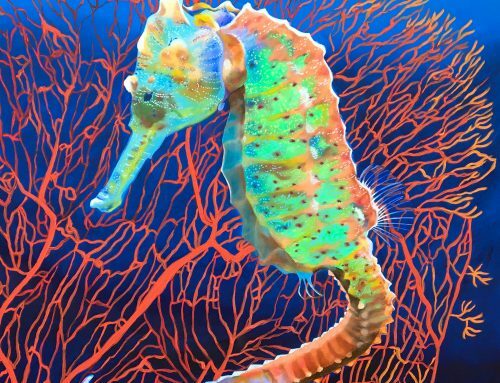 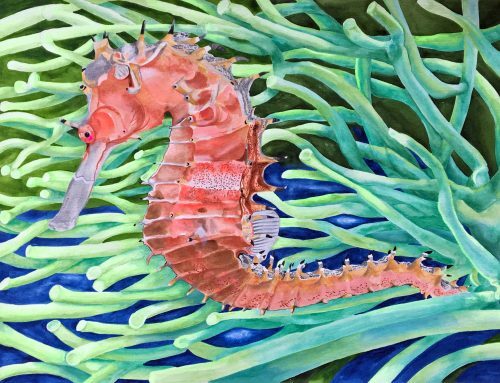 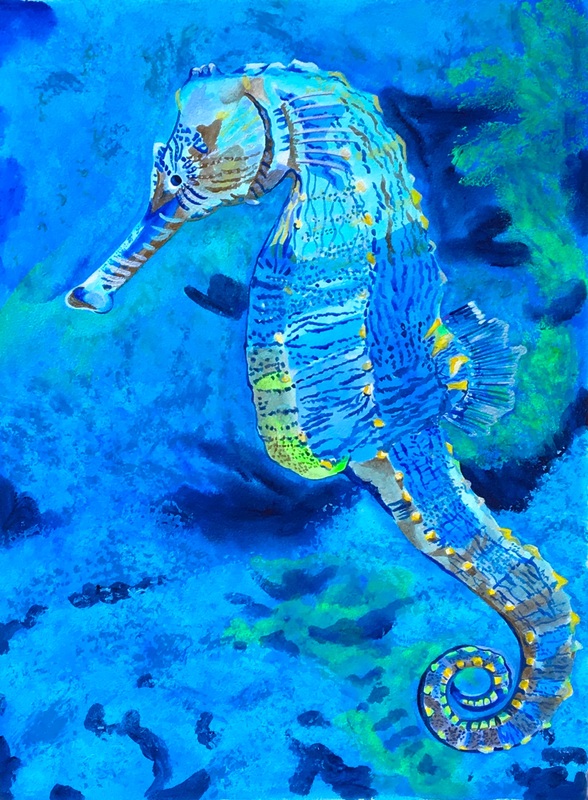 Seahorses belong to a genus called Hippocampus, which interestingly mens “sea monster horse”, and correlates as well to a region of the human brain associated with long-term memory. 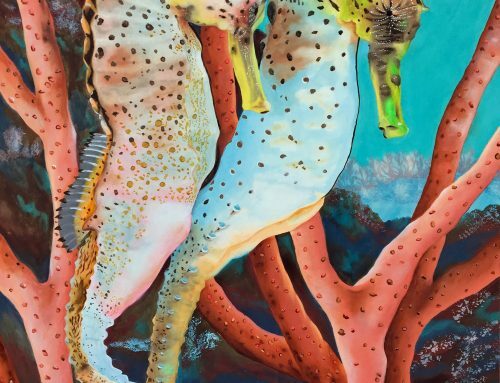 While these tiny creatures lack sea monster status, their adeptness for protection and survival are huge. 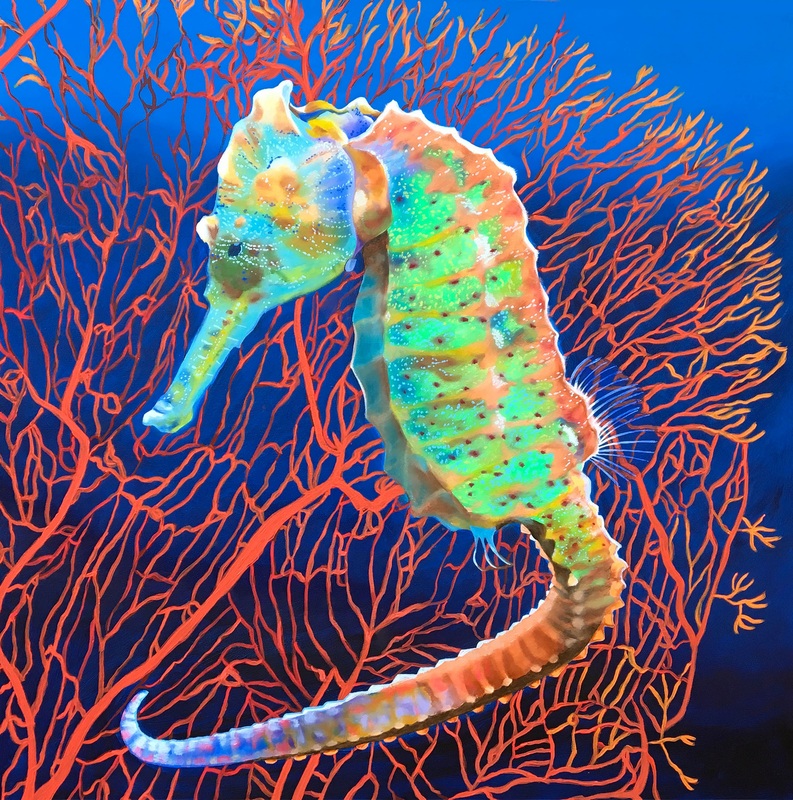 As well, the human capacity for long-term memory is critical to our survival and evolution. 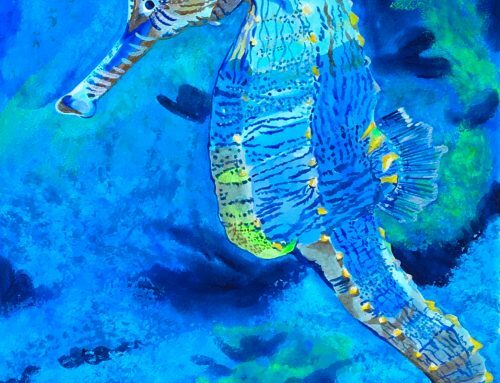 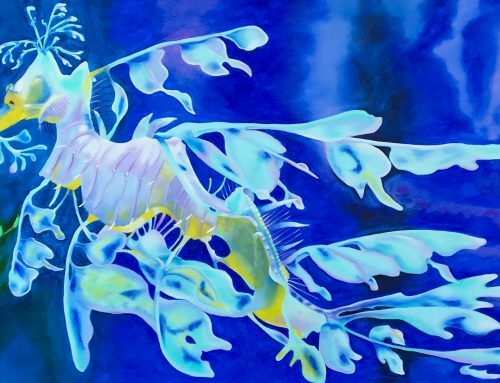 This warrior seahorse may be small in size, but he is bold with tribal markings and commands the skills of protection in the face of danger like a hero.